One of many little parrots (feral parakeets) living in the palm trees in Gilchrist Park. Apparently their numbers were many in South West Florida at one time -- descendants of pets who escaped or were freed. There numbers have declined in recent years. 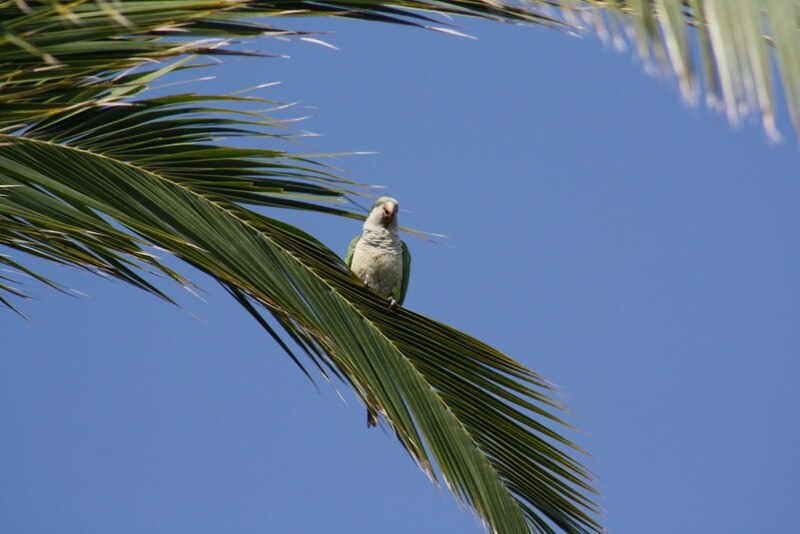 Quaker parrot or monk parakeet.Two names for the same great bird. They can be taught to speak and make good pets.